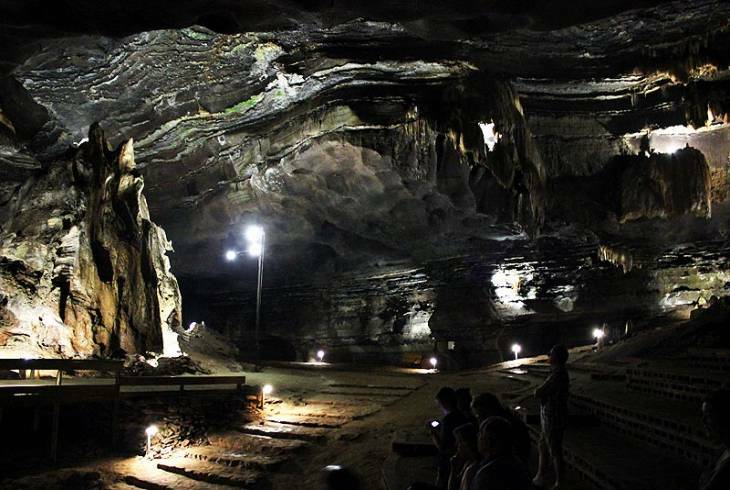 The Sudwala Caves are considered to be the oldest caves in the world, located in a region of sedimentary rock in the Drakensberg nearly 3 billion years old. One of the major tourist attractions in the Crocodile River Valley, these dolomite chambers are decorated with a fascinating variety of stalagmites and stalactites. Visitors can explore a 600m route through passages and small halls, enjoying natural formations such as Screaming Monster and Weeping Woman. The caves extend beyond the tourist area into chambers filled even more elaborately. A resort has been established in the valley below the cave entrance. Almar View Guest House offers you a magical view on the Crocodile River Valley.Nelspruit - the capital city of Mpumalanga. Almar View is 45 minutes drive to the Kruger National Park and en-route to Mozambique and Swaziland. The accommodation takes the form of five log cabins, of which 4 are simple two- person sleeping cabins with ensuite bathroom, and access to a communal living-room. A braai and entertainment area is situated there and available for use. Hippo water front is the most peaceful and quiet setting on the banks of the Crocodile river only 10 km out of Nelspruit. Affordable, clean, comfortable and fully equipped chalets ensure a real rustic and African bush experience. The Drakenzicht Country Lodge and Moutain Links Golf Course is set high up on a mountain top right on the edge of the Drakensberg Escarpment where the grasslands of the Mpumalanga Highveld meets the warm Lowveld. la Granja guesthouse is situated on a three hundred hectares game farm in the beautiful surroundings of the Lowveld, just outside White River. Conveniently located 20km from the Kruger Mpumalanga National Airport. Nestled on the edge of the Mpumalanga escarpment, Kaapsche Hoop looks over the valleys toward Barberton and Nelspruit and in this tranquil setting you will find "Kaapsche Hoop Gastehuis" (Guesthouse). A Tua Casa comfortably sleeps 8 guests. 4 Beautifully decorated air-conditioned bedrooms. 3 bathrooms. 2 en-suite with oval bathtub and spacious showers. Sudwala Caves Information and Nearby Accommodation.